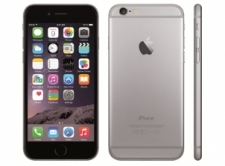 The iPhone 6 Plus brings about a new term – the phablet. In size it feels like a cross between a phone and tablet, and in function it feels somewhat like a desktop device. Recently introduced on September 9, 2014, it is catching attention first and foremost for its size, but also for the new Apple Pay option that has the capability to turn it into a digital wallet. The screen on the iPhone 6 is larger than previous iPhone models, but still does not compare to the iPhone 6 Plus. The lens cover on the iPhone 6 is made from sapphire crystal and comes with a fingerprint resistant oleophobic coating. With the larger screen size also comes Reachability, where users can slide the screen image lower to make one-hand operations easier. The iPhone 6 also now has the fingerprint identity sensor, the Touch ID, located in the Home button. A display zoom option and dual-domain pixels for wider viewing make the already larger screen even more readable. The iPhone 6 isn’t disappointing users with the improved cameras on this model. The new 8 megapixel iSight camera comes with Focus Pixels for autofocus, and a new True Tone flash. It also includes a hybrid IR filter for higher quality. The FaceTime camera is 1.2 megapixels, and the video recording includes a 3x zoom feature. Video recording also includes time lapse video capabilities with the ability to take still pictures while recording. The slo-mo feature makes this smartphone really a quality camera on the go. The larger screen size and higher quality display make viewing videos and movies easier, but the iPhone 6 does not include the optical image stabilization that is a part of the iPhone 6 Plus. While many consumers aren’t really looking to traditional calling with the iPhone 6, it does have multiple carriers and FaceTime audio for increased accessibility. The speed of the iPhone 6 with the A8 chip and M8 motion coprocessor make this a great choice for those wanting easy internet access. The new iOS 8 brings with it a lot of capability to support more expansive software options. There have been security questions about iCloud, but it still continues to lead the way for Apple consumers who want extra storage capacity and sharing capabilities. Siri is still present as the digital personal assistant, along with multitudes of free apps, including everything from iHealth to iBooks and in between. The iPhone 6 is perhaps getting the most recognition for the inclusion of Apple Pay. This new technology for iPhones sparks more conversations about the eventuality that payments will all be digitized. For now, however, consumers can settle for one-step payments at any of the several hundred retailers that support Apple Pay. Diehard fans already know that the new Apple A8 system-on-chip for the iPhone 6 is supposed to increase CPU performance by 25% and graphics performance by 50%, and this obviously means that the best online casinos are going to need to be able to handle this huge jump in mobile technology. Pretty much every online casino already has launched a mobile product, however very few have perfected it, and even fewer have designed their mobile casinos with iPhone users in mind. Therefore, it took us a while to narrow down our list to just one casino per region, but here are the best in the business for the iPhone 6. 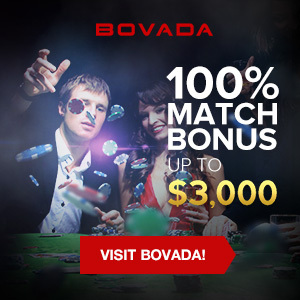 This should not come as any surprise, but the best mobile casino for iPhone 6 owners in the United States is the Bovada Casino, who have been at the forefront of mobile gambling technology for many years. There software never freezes or lags, and their casino games look beautiful on the enhanced performance of the iPhone 6. Anyone living in the United Kingdom looking for an iPhone casino should check out the 32Red Casino, because their games simply look better on an iPhone than their competitors. They are constantly upgrading their mobile software to keep up with the new innovations that Apple and other smartphones release at a steady rate. We are also big fans of the 32Red customer service, who are probably the politest chaps in the business. Chalk up another win for the Bodog Casino, as they are the clear winners of the title of “Best Casino for iPhone 6 Owners in Canada”. When you consider the fact that they employ hundreds of developers around the world it is easy to see how they are able to stay on pace with the ever-evolving smartphone technology. Easily the best place for any Canadian gambler who owns an iPhone 6.